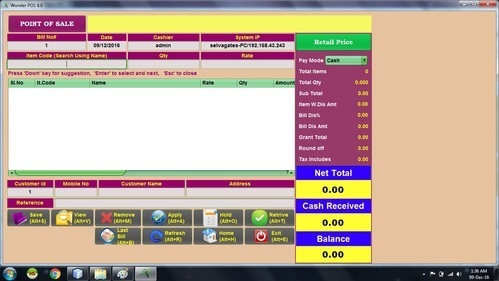 We are offering all types of POS Billing software at lowest price with best quality, 1000+ satisfied customers, running successfully across the world. Up to 40% offer for limited period. Contact us for free demo. It support GST Billing and all latest features. We can do update software for any new requirements also we do custom software development. We have around 200 software for all business.